You'll hear them before you see them! 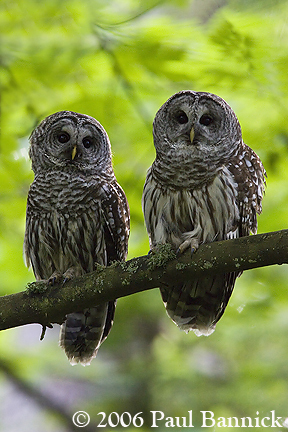 The emphatic hoots of a pair of Barred Owls resonate in the still of a winter's night. 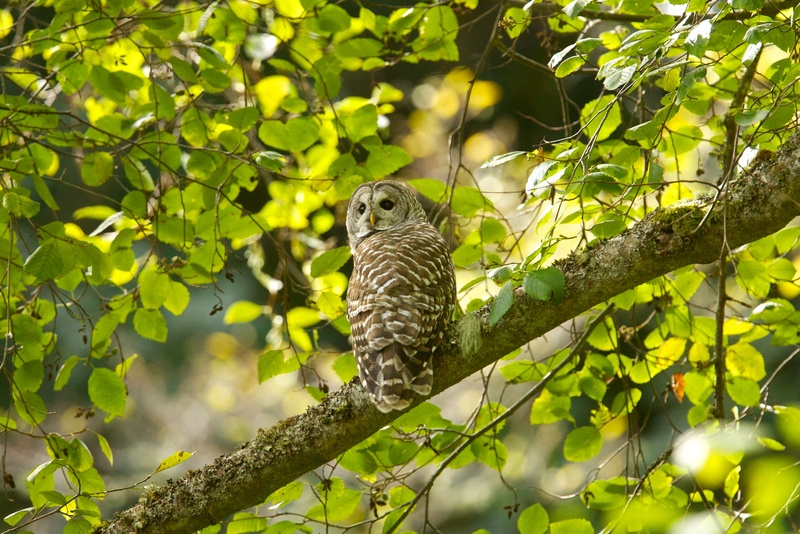 Like many owls, Barred Owls initiate their vocal courtship in winter. 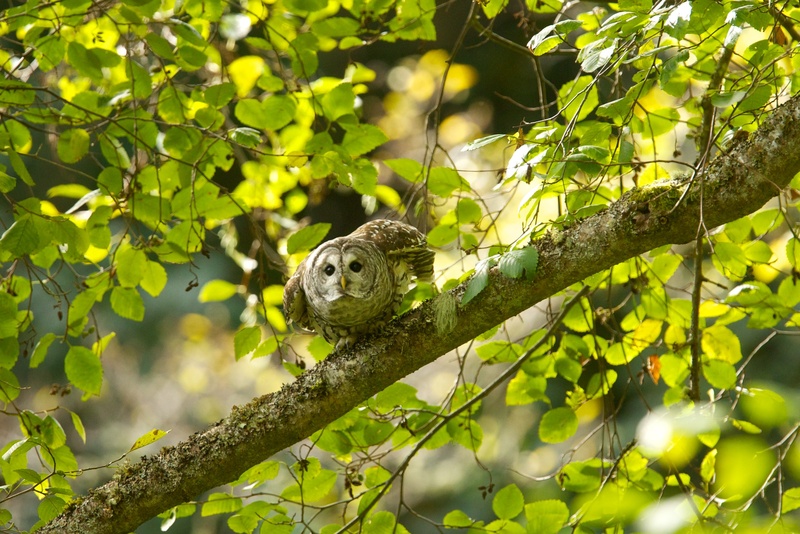 A fairly large owl - a perching bird is 21 inches tall - Barred Owls are also among the most vocal. 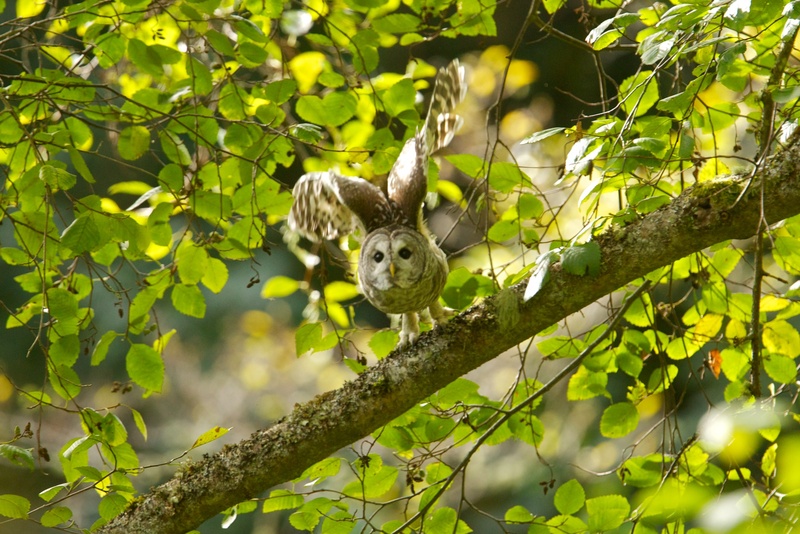 More than a dozen Barred Owl calls range from a "siren call" to a "wail" to a wonderfully entertaining "monkey call." 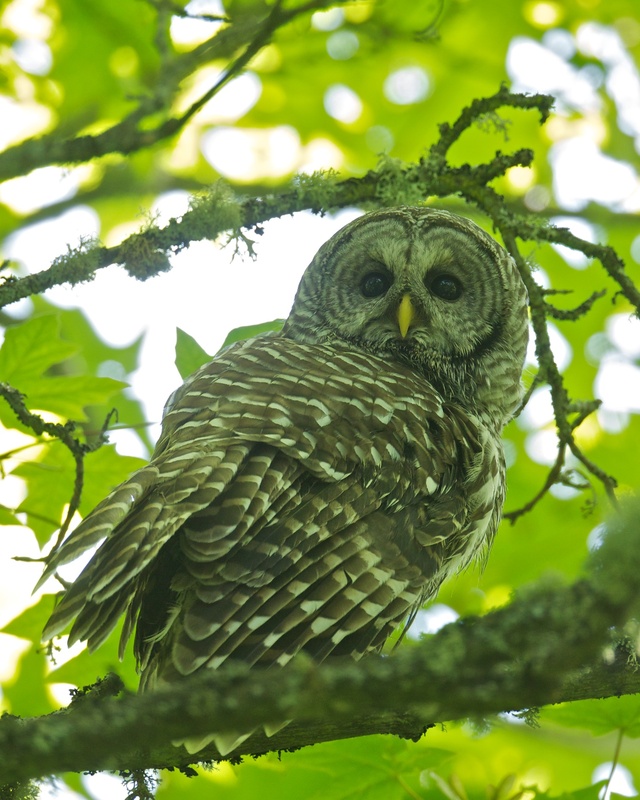 Although the Barred Owl’s calls have long been heard in Eastern forests, it is a relative newcomer to the western US. During the 20th Century, its breeding range has expanded into the North and the West, and down as far as northern California. The exact reasons behind the expansion aren't certain. But new riparian forests, fire suppression, and the planting of shelter-belts in the northern Great Plains are some of the human impacts that have likely played a role.